Newcastle United failed to live up to their pre-season billing as they were beaten 1-0 by Fulham in The Sky Bet EFL season opener. If Toon manager Rafa Benitez didn't know about the difficulties of the Sky Bet Championship, he does now, after Matt Smith headed home the winner just before half-time. The pre-season title favourites lacked urgency in their play, but could count themselves unfortunate not to get two penalties after a couple of clear handballs were missed by the referee. 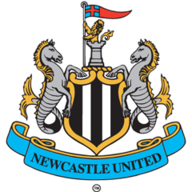 Newcastle, who spent £45million over the summer, handed debuts to Matz Sels, Grant Hanley, Isaac Hayden, Matt Ritchie and Dwight Gayle. Fulham looked the more lively and inventive but it was Newcastle, relegated from the Premier League last term, who came closest in the opening stages with Ayoze Perez's free-kick from the edge of the area hitting the wall. Ritchie then had claims for a penalty waved away after Ryan Tunnicliffe appeared to handle in the box. Benitez fumed at the fourth official on the sidelines. Fulham went on to take the lead in the 45th minute, Smith able to find space in the area too easily to head past Sels from Tom Cairney's corner. Newcastle started the second half well and forced David Button to make an impressive save with his legs to deny Ritchie following Vurnon Anita's run. Perez then glanced wide from Ritchie's cross while the former Bournemouth winger powerfully drove straight at Button from distance as the visitors pressed. 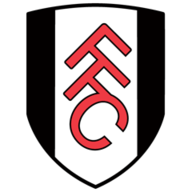 Fulham could have sealed victory as left-back Scott Malone drove wide after a clever one-two with Sone Aluko while Floyd Ayite nearly caught out Sels with a left-footed curler. But at the other end Ritchie had penalty appeals waved away after his shot struck Tomas Kalas on the arm and in the dying stages. This was The Championship at its most unpredictable best.